Roger Joseph Manning, Jr. Arranging Services is a collaboration of two highly sought-after studio musicians in Los Angeles with decades of diverse experience in the fields of arranging, orchestrating, producing, session playing, conducting, contracting, mixing, touring, recording, and everything in between. Drawing from a wide spectrum of multitudinous talents, Roger Joseph Manning Jr. and Steve Aho will bring your musical vision to life. Contact this dream team today about bringing your project to the next level. 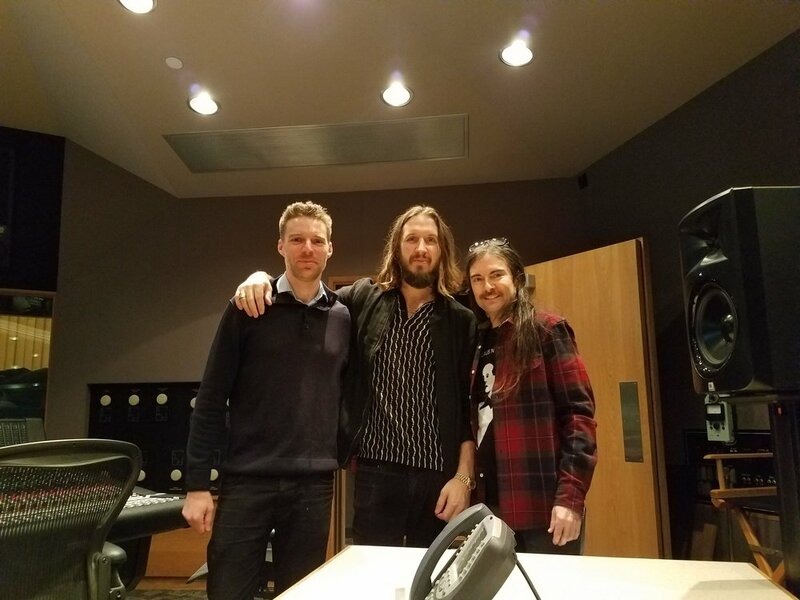 Steve, Emile (producer), and Roger in the studio recording “This is Me” for The Greatest Showman, the Award-Winning song & sountrack. All Rights Reserved Roger Joseph Manning Jr. Arranging Services 2019.